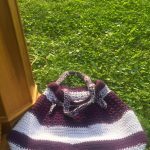 In today’s post I would like to share with you my newest Handmade Crocheted Creation, Jo’s Boat Tote Crochet Pattern. This pattern could have many names because the Tote has many uses. 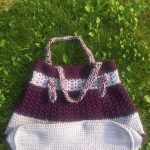 You can crochet the tote and use the bag as a Purse, a School Bag, a Market Bag, a Beach Bag, and even used as a Gym Bag. The bag has a wider bottom so it can hold many things. It can be folded up and stored in your child’s locker. You can hang it on a hook so it is within easy reach the next time you go to use it. 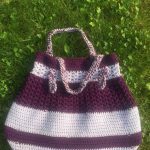 The bag is made with Acrylic yarn so it is sturdy enough to with stand machine washing. 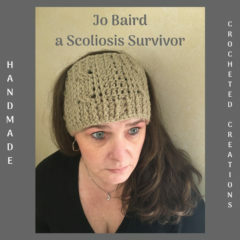 As a Crochet Pattern Designer I need to look my best when I take pictures and display my Handmade Crocheted Creations. I take advantage of Sally’s sales so I can showcase my designs with confidence! As a Sally’s Beauty Associate I do earn a small commission from any item you purchase from their link here. 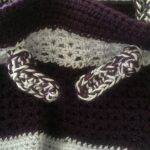 The pattern can be adjusted by as you crochet. You can add more rows for a bigger bag or you can delete some rows for a smaller bag. The pattern is easy to follow and even has instructions for the straps. 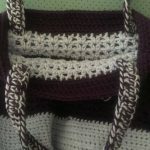 The straps used 2 strands of yarn at once to create a firmer, stronger handle for when the bag is filled with your goodies! You can purchase your #4 Medium Worsted Weight acrylic yarn in your colors from the Red Heart banner below! Red Heart has many different yarns to choose from, I LOVE them all! As an Red Heart Associate I do receive a small fee for any purchases you make by clicking on the Red Heart Banner below. The small fee allows me to purchase more yarn from places like Amazon and Red Heart so I can create more Handmade Crocheted Creations! Stay in touch with your kids who have gone back to school with a new phone. Buy them Gift Cards so they can purchase the things they need while away at college. Buy their school supplies or anything they need for school. As an Amazon Associate I do receive a small fee for any purchases you make from here. 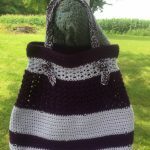 If you are interested in making my newest Handmade Crocheted Creation, the Jo’s Boat Tote Crochet Pattern can be purchased either from Ravelry or my Etsy Shop. 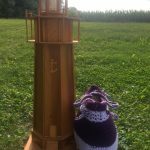 After you crochet the Boat Tote I would LOVE to see your pictures! I would also LOVE to hear from you! 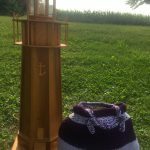 You can leave comments or feedback below about Jo’s Boat Tote Crochet Pattern or on any other of my Blog Posts! While you are here, PLEASE sign up for my next Blog Post, it will be sent directly to your email address!